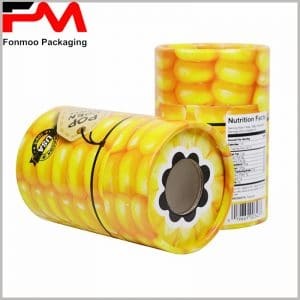 Sometimes you need such small cardboard tube packaging box for packing your foods, such as dried cherries and little cookies, as their little size is very convenient for customers to consume little snacks, and their beautiful design will certainly give people a bon appetite. The structure is formed by 200g cardboard paper, for such a little size, this material is very robust and provide good protection. As for decoration, there is a cherry pattern printed by single color printing technology, on 60g chrome paper attached to the surface as to give good visual feeling. The pattern design is simple and concentrated on the product itself: it’s just a picture of the product, helping people easily know what is inside. Our team is ready for responding to any of your demands for customizing such packaging box. Just get in touch and communicate, let us know what you need and then give you the best offer. As factory, we have quick reaction and good direct price, and listening people who will do their best to help you making your very special small cardboard tube box packaging box.